Oxford student Wyndham Brandon has grown up wealthy, privileged and well educated. However, there comes a time when always getting everything you want isn’t quite enough. Brandon is bored. The cure? To commit the perfect murder. Convinced by power-mad Brandon, the weak-minded Granillo partakes in this sadistic game and the two men proceed to invite various acquaintances round for a dinner party. The table being conveniently out of use, the food is to be consumed off the chest within which the body has been stored. As a thunderstorm rages on the streets of London, the two young men begin to crack under the scrutiny of one particularly suspicious guest. 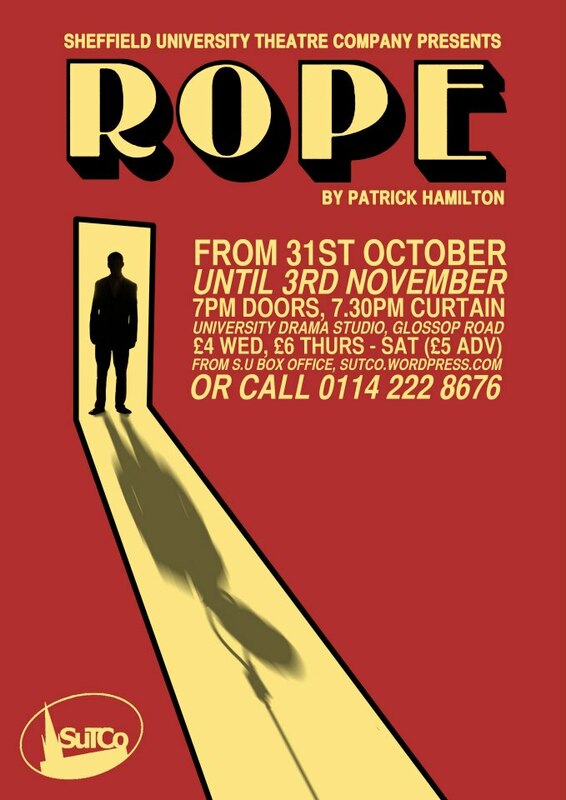 A classic thriller, Rope is a story of two young students who take the theories they learn in class to extremes.